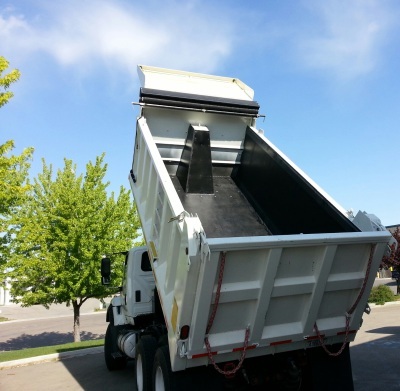 QuickSilver high performance dump truck liners are designed to clean-out and clean-up of some of the toughest materials including hot asphalt in the very worst conditions. From winter freeze to summer heat, QuickSilver truck liners release sticky materials, meaning faster load release, less equipment damage, reduced chance of tip-over, less wear on hoists, minimal clean-up and reduced downtime. On-road, off-road or heavy equipment, ELW has a QuickSilver liner for you. For details and more information, contact ELW Company now!